They are found in southeast Canada and the eastern U.S. west to North Dakota, Colorado, Texas, Arizona, and New Mexico and south to Costa Rica. They live in fields and open, weedy places like railroad tracks. Their wings are bright silvery-blue with darker edges. 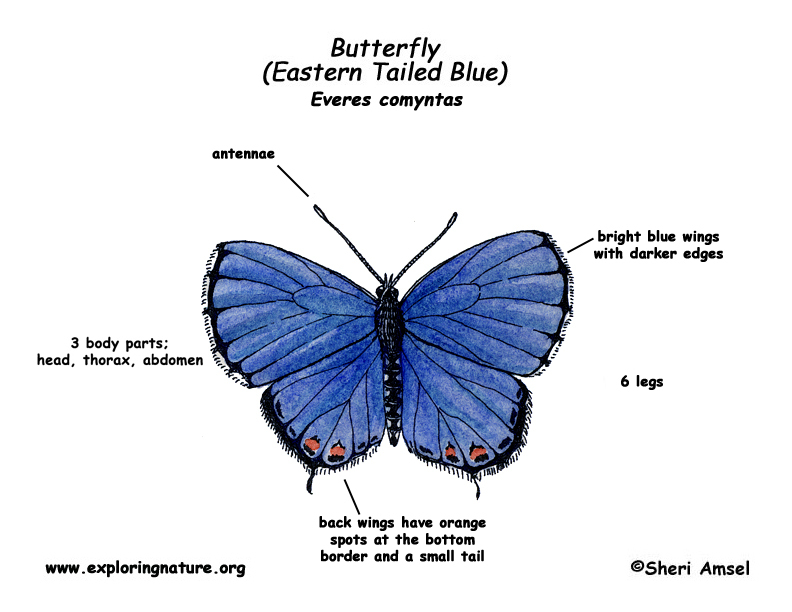 Their back wings have an orange spot with a black border at bottom and tiny tails.Their wingspan is up to 1.125” wide. They fly low to the ground in search of food. The caterpillars eat the buds, flowers, seed and leaves on clover, alfalfa, vetch and wild peas. The female lays her eggs on flower buds.